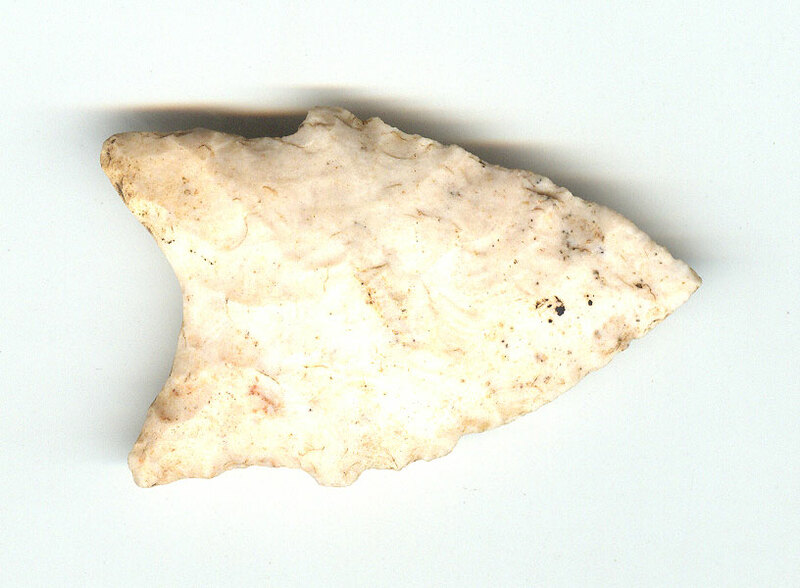 A Medium Size, Heavily Anciently Use Sharpened, Typically And Well Made Johnson Point That Exhibits Surface Oxidation Aging And Overall Stone Patination, Correct Rolled Basal Stem Edge Hafting Dulling, Correct Early Style Flaking, Correct Aged Blade Sharpening Use Reduction, Correct Material And Manufacture For The Area Found. Found South Of Atkins, Arkansas, East Of South Shore Road And Hwy 105 On A Ridge Overlooking The Atkins Bottoms. The Johnson Point Is A Later Dalton Variant, Being Very Similar To The Holland Point. Use Sharpening Has Reduced The Blade Length Considerably. Includes A Ken Partain Certificate Of Authenticity.